Would You Like To Donate In Support Of Our Efforts? If you would like to donate in support of our many efforts and activities, you can do that right here. You need only click here for our Authorization Form to securely complete your donation by credit or debit card, or from a bank account. In the form you can choose the area you would like to support. You can also donate by stopping by the Giving Kiiosk located in the narthex of the church outside of the sanctuary. 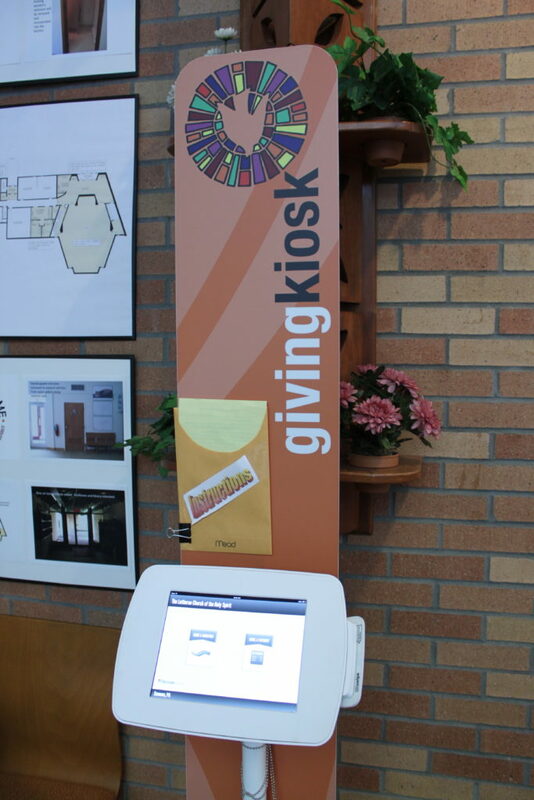 The kiosk can securely process your credit card and allows you to select the area you want to support. Members have a number of other financial options for supporting our work. Additional information is available by clicking here for our Giving Options.